Blackberry Messenger has been available on Android for close to two years now. A couple of weeks back, we told you of Blackberry’s plan to update the App’s android version with Material Design in line with the Android community design guidelines from last year’s Google I/O. The BBM app’s update has been under Beta testing for a few weeks now but has begun rolling out to all users. Other than material design makeover, the update brings private chat that allows users to chat anonymously devoid of any message notifications and the messages self-destruct after some time or after the chat is complete. 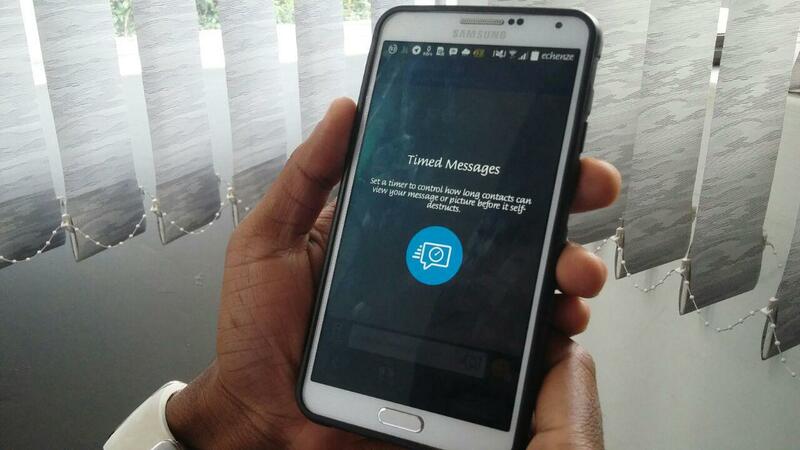 Another feature hitting the Android application is the ability to edit sent messages. The update has been extended to BBM users on all platforms including BlackBerry 10 and iOS. The private chat feature replaces the existing Timed and Retracted Message and will be available for a Subscription of $0.99 a-month. The material design will add a new way to organize BBM sticker collection as well as implement a new “quote message” feature so you can reference previous messages in your chat. On iOS, the update changes the rendering of font sizes with the option to select font sizes under settings. The update is available on Google Play store for Android devices. Can Blackberry Really Get Its Mojo Back?